If you are planning your special day, the first thing on your agenda probably is to find a suitable venue that fits your requirements and ideas. With so many wedding venues on the Vaal River to choose from, how do you go about finding the perfect venue for your wedding day? The Liquid Lounge might just be the venue you are looking for. 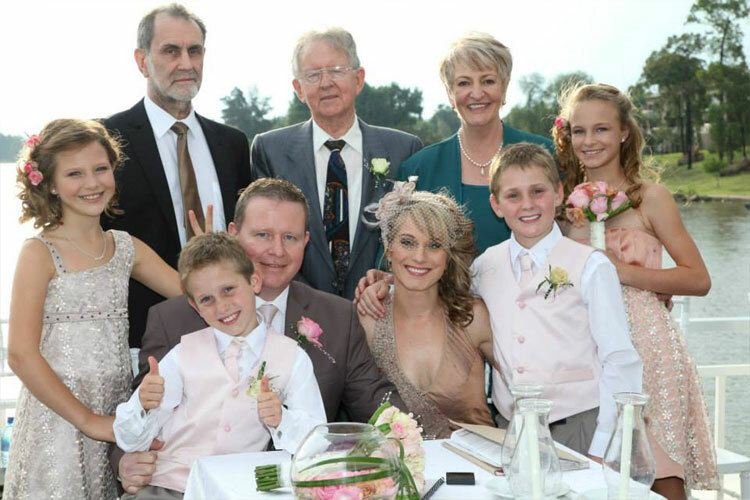 With magnificent views and a naturally tranquil environment, this is the ideal way to have a unique wedding day and a wonderful experience for all your valued guests – right on the Vaal River. Your venue is undoubtedly one of the most important aspects of your wedding and you need to find the perfect one that will fit in with your budget and your own unique requirements. Whether you want a small or a large wedding, your venue should comfortably accommodate your guests and allow them to enjoy the entire event in a comfortable, enjoyable setting. 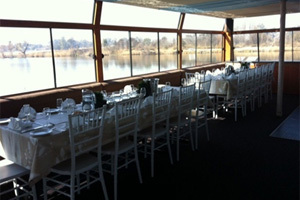 This is why wedding venues on the Vaal River are becoming a popular choice, due to the wonderful environment is offers. 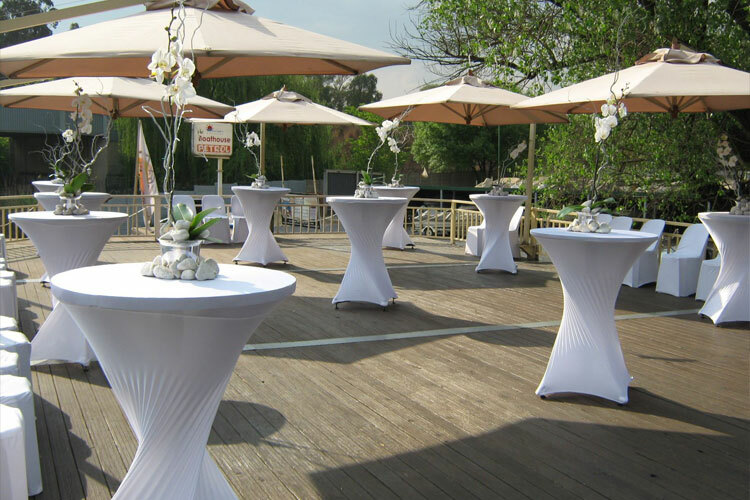 Why choose Liquid Lounge as your wedding venue on the Vaal River? Liquid Lounge is located in the heart of Gauteng and we are less than an hour’s drive from Johannesburg central. We are situated on the majestic Vaal River and you can enjoy some of the finest real estate in the country, coupled with serene views of surrounding nature. 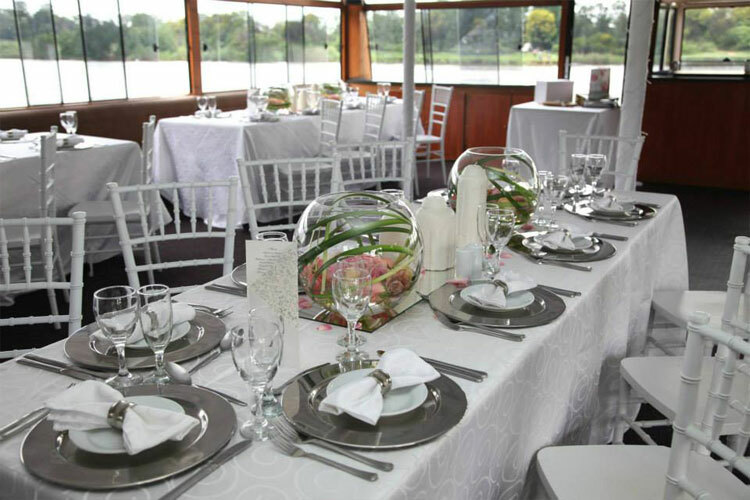 Our luxurious cruiser is one of the most popular wedding venues on the Vaal River and we can accommodate up to 120 guests at a time. We aim to provide you with a great on-board dining experience and offer a variety of packages to suit your needs. 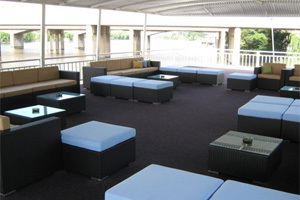 This means you can enjoy our floating venue while your guests get treated to the best food and entertainment possible. Our facilities include seating arrangements for up to 120 guests, a buffet station, a fully stocked cash bar, a dance floor, a top deck with outdoor lounge suites and a sound system. 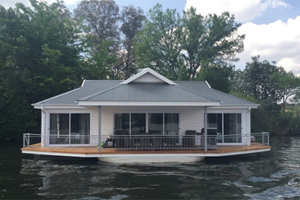 If you have guests coming from afar, there are also two resorts available in the area where you can book accommodation with, which is the Emerald Resort & Casino, as well as the Riverside Lifestyle Resort. This means you can book your guests great accommodation to come and enjoy your special day with you and your family. If you are considering wedding venues on the Vaal River, look no further than the Liquid Lounge. We specialise in unique weddings and will make your special day special in every way. Contact us today or email us at info@liquidlounge.co.za to make an appointment to view our beautiful venue. We will provide you with a tailored quote that will fit into your budget. Our staff members are trained and experienced in handling wedding functions, and will ensure that your wedding day runs smoothly aboard our River Cruiser. We will also handle the complete setup of décor for the day according to your wedding theme and requirements. Your guests will truly enjoy their cruise down the Vaal River, whilst socialising with friends and family on your special day. 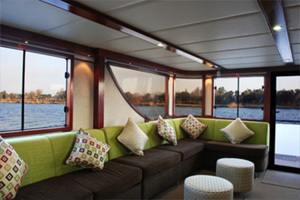 A river cruise aboard the Liquid Lounge, our luxurious river cruiser, is a very exciting and enjoyable experience. Coupling your wedding day with a river cruise will definitely serve for a memorable event!